2Awesome Studio and Awfully Nice Studios have announced that The Bug Butcher will release on Nintendo Switch, an action-packed 2D side-scrolling shoot ’em up where peril comes from above. Set in a future where mankind and aliens do their best to co-exist, you play as Harry, The Bug Butcher, a brash and tenacious exterminator who has built a reputation for being the best in the business at decimating bugs. His latest assignment has brought him to an infested futuristic research facility on a distant planet. Hired by the dwindling number of scientists, Harry must survive until the decontamination of the building is completed. Hoarding coins like your life depends on it and protecting the scientists at all costs are the other parts of your mission, as you move room-to-room through the facility to slaughter anything that isn’t human. 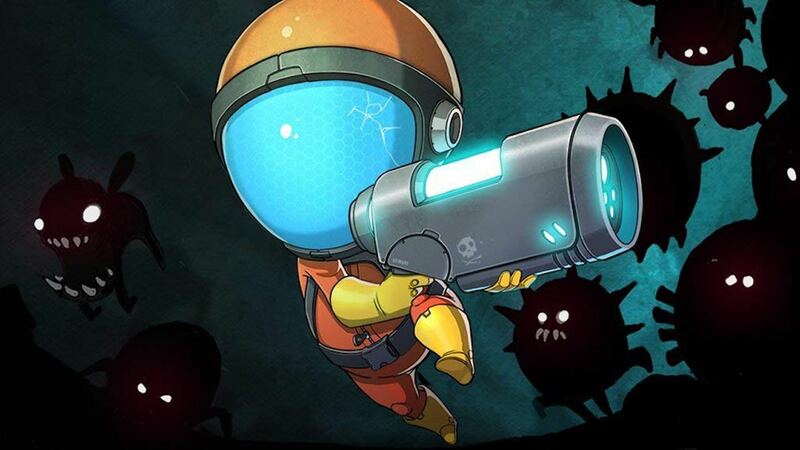 Your pest control efforts will see you blasting rockets, lasers and wielding the power of lightning, destroying ravenous swarms of alien bugs that will try their best to make you fail your mission. This is the first game that 2Awesome Studio will publish on the portable home console, with more games teased to be revealed in the coming months. The Bug Butcher will release on the Nintendo eShop for Nintendo Switch worldwide this summer.